Fisher Price Little People Sofie and Rooster is the perfect figure pack for toddlersThe Fisher Price Little People range has been popular with toddlers for generations. The large format figures are designed to encourage creative play using familiar stories such as farm animals for reference. Both figures are ready to work and help people stay healthy. Designed especially for little hands the Little People figures are easy to clean and just right for loads of pretend play. 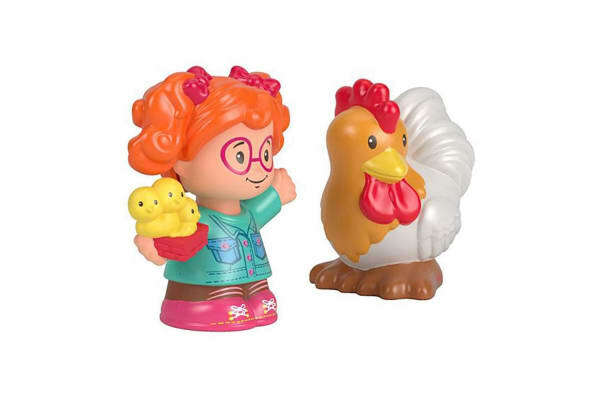 Get your kids playing with the Fisher Price Little People Sofie and Rooster for learning fun.